Saturday 3rd – London and Southern Counties Branch Annual General Meeting and Lunch 11.30 am at The Warwick Public House, 25 Warwick Way, Pimlico, London SW1V 1QT. Wednesday 7th – Lanarkshire Branch Meeting – Motherwell. Saturday 31st – ‘AFTERMATH’ EXHIBITION OPENS – KOSB MUSEUM,Berwick. 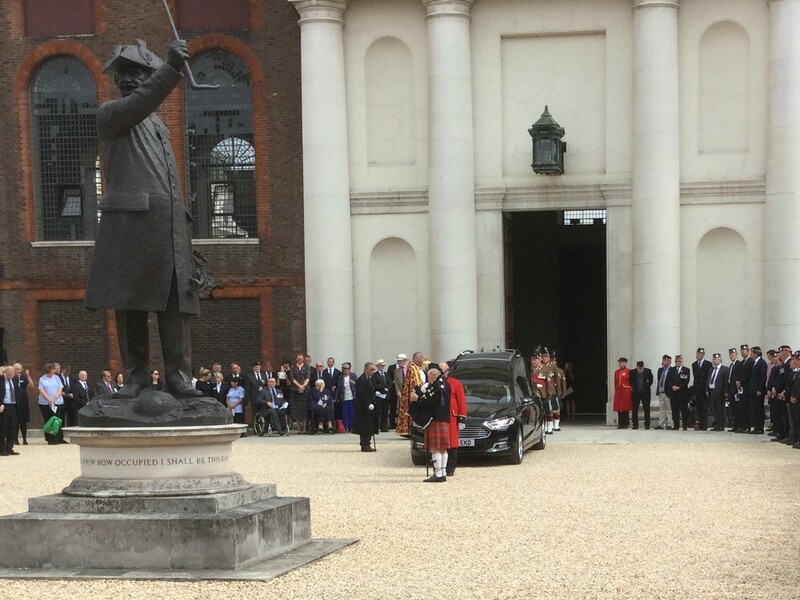 Sunday 22nd – London and Southern Counties Branch Gallipoli Service at The Royal Hospital Chelsea (Parade at 10.30 am). Friday 4th – RBL Scotland Silver Poppy Golf Competition – New Course, StAndrews. Saturday 5th – Lanarkshire Branch AGM – Motherwell United Services Club at 1200 – Mabel Street Motherwell ML1 1TY. Thursday 10th – London and Southern Counties Branch General Meeting, TA Centre, 95 Horseferry Road, London SW1 at 6.00 pm. Friday 25th – Officers’ Club Golf Competition, Torwoodlee, Galashiels. Saturday 26th – Officers’ Club Biennial Dinner, Ednam House Hotel, Kelso. Saturday 2nd – London and Southern Counties Branch – Colonel’s Rehearsal of Trooping the Colour, Dover House. Thursday 7th – London and Southern Counties Branch -Founder’s Day Parade, Royal Hospital, Chelsea. Saturday 16th – Operation Banner Golf Day – the Blackwood Club NI. Friday 29th – Officers’ Club London Lunch – the Caledonian Club. Saturday 30th – Edinburgh Armed Forces Day. 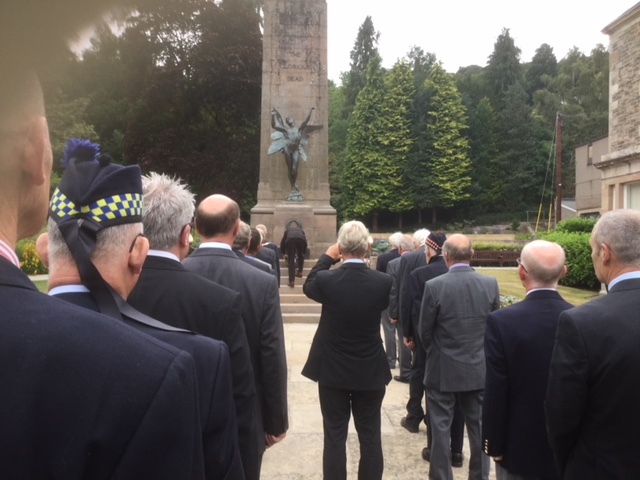 4th Battalion Gallipoli commemoration Hawick. 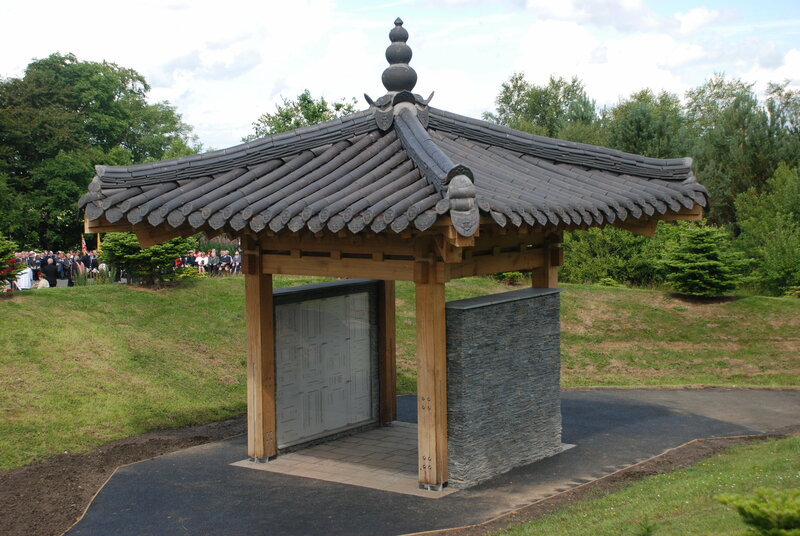 Saturday 21st – Scottish Korean War Memorial Service. 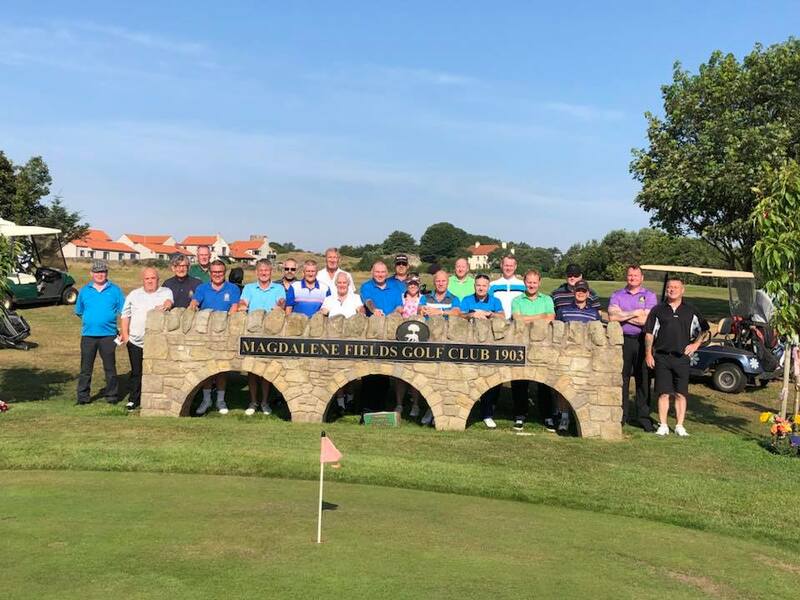 Friday 27th – Borderers Minden Golf Competition, Berwick upon Tweed. Saturday 28th – Minden Day Parade, The Barracks, Berwick upon Tweed. 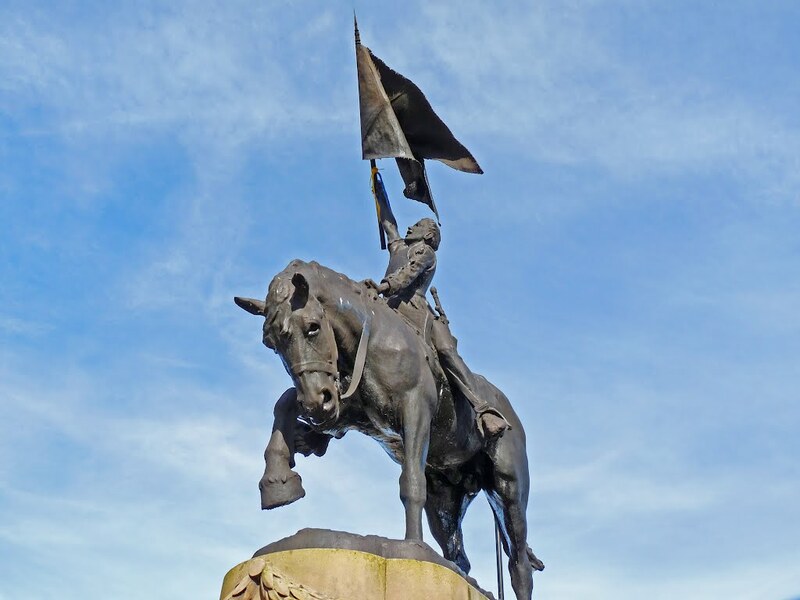 Saturday 11th – Royal British Legion Scotland Thank You Service, Canongate Kirk, The Kirk of Hoyroodhouse and Edinburgh Castle – Those wishing to attend should contact RBL Scotland. 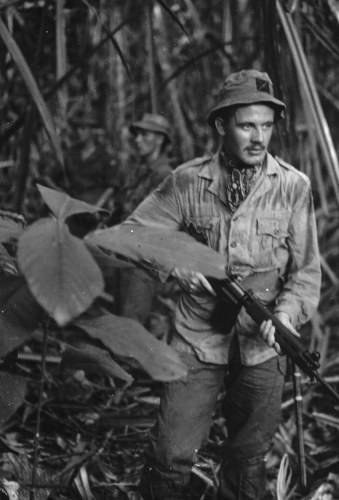 Thursday 13th – Malaya and Borneo Veterans Dinner, Peebles Hydro, Peebles. Sunday 16th – Royal British Legion Scotland, Hawick Branch will be holding a DRUMHEAD SERVICE and MARCH PAST on Sunday 16th September 2018 starting at 1345 hours in the Burns Club end of the Common Haugh, HAWICK. Full details are posted on the Website Events Page. 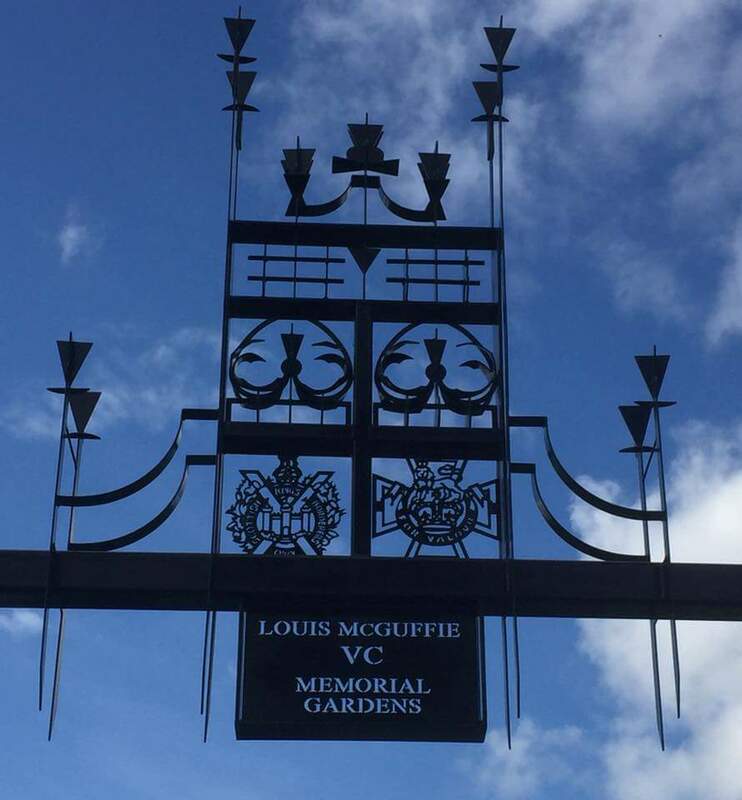 Friday 28th – Sgt Mcguffie VC commemoration paving stone unveiling, Wigtown. Details are on the website and have been distributed on the Mailing List. Saturday 29th – Late Entry Officers’ Dinner, Craigiehall, Edinburgh. 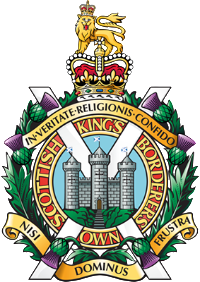 Saturday 6th – KOSB Association AGM, Scots Guards Club Edinburgh. Thursday 11th – London and Southern Counties Branch General Meeting, TA Centre, 95 Horseferry Road, London SW1 at 6.00 pm. 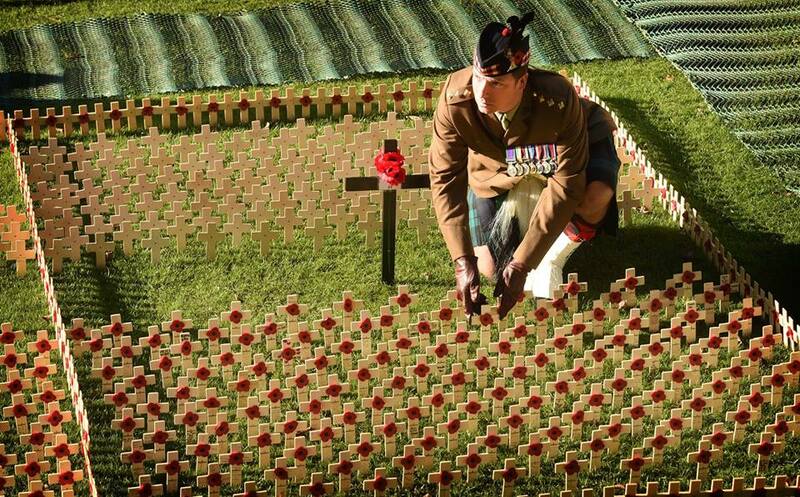 Thursday 8th – London & Southern Counties Branch – Official Opening of the Field of Remembrance, Westminster Abbey – 11.00 am. Thursday 8th – ROYAL REGIMENT OF SCOTLAND REGIMENTAL BOXING NIGHT – THE ORIAM SPORTS CENTRE EDINBURGH. 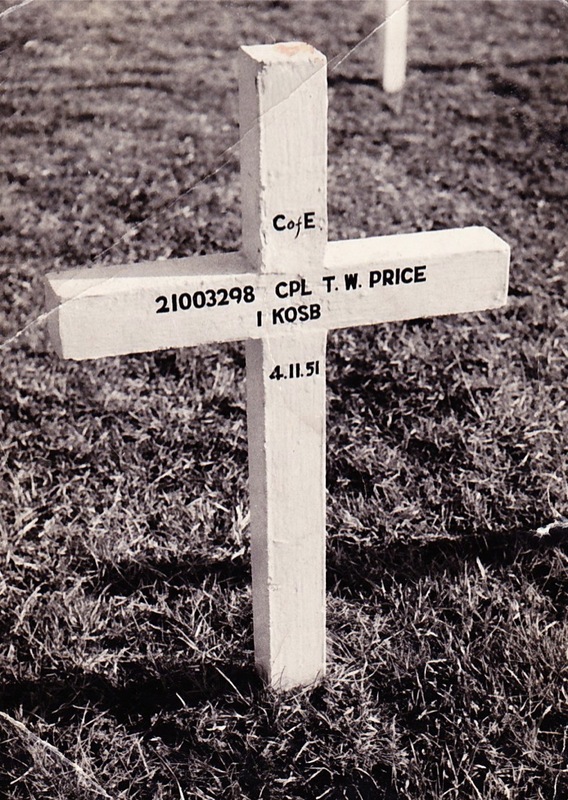 Saturday 10th – London & Southern Counties Branch – Service and Cross Planting, KOSB Regimental plot, Field of Remembrance, Westminster Abbey. 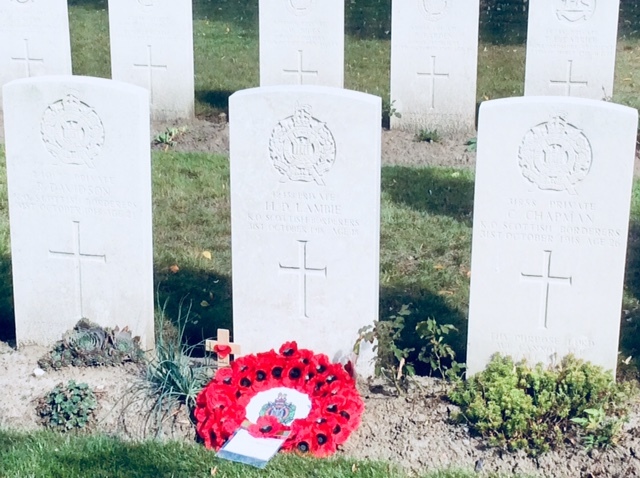 Saturday 10th – London & Southern Counties Branch Autumn Lunch at 12 noon in the Victory Services Club, London. Sunday 11th – National Remembrance Parade at the Cenotaph, London. Friday 23rd – The Cruikshank Dinner, St Boswells. Saturday 24th – Lanarkshire Branch Christmas Function. It is with deep regret that we inform you of the death of CSgt George (Yogi) Baird who sadly died on Friday 26th October 2018 at Hairmyers Hospital, Glasgow aged 64. George joined the 1st Battalion King’s Own Scottish Borderers in 1973, serving in Belfast, Aberdeen, Osnabruck, Berlin, Colchester and Sandhurst, leaving the Army in 1993. The service will be followed by cremation at 12 Noon at South Lanarkshire Crematorium, Blantyre, Glasgow G72 0TL. Gavin Richardson died on Tuesday 16thOctober 2018 in Aberdeen Royal Infirmary. 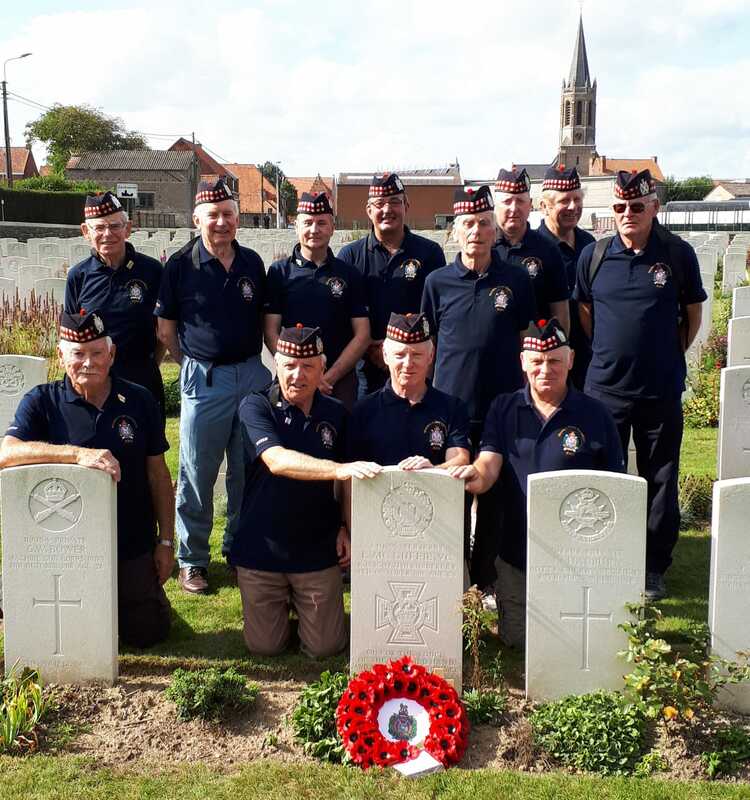 Although not a Borderer, Gavin was the author of two fine books on the experiences of the 4th (Border) Battalion, King’s Own Scottish Borderers during their service in the Gallipoli Campaign and Western Front. “For King Country and the Scottish Borders” and “After Gallipoli”. Once again this popular evening will be held in the Buccleuch Arms Hotel at St. Boswells and because of the generosity of the late Captain Cruickshank from Selkirk, we are able to keep the cost down to £19.00 per head which will cover a three course Dinner and wine. Our guest speaker this year will be that well known after dinner speaker, Sir Johnny Scott, a natural historian, broadcaster, columnist, countryside campaigner and farmer, who came to fame with a television series with Clarissa Dickson Wright. Musical accompaniment for the evening will be provided by Pipe Major Kevin Turnbull and hopefully a surprise entertainer. Timings will be 7pm for Dinner at 7.30pm and the dress code for the evening will be jacket and tie. As usual there will be a pay bar before and after dinner. This Dinner is open to all ranks who served in the Regiment, whether as a Regular, TA or ACF and you are also most welcome to bring a guest(s) to this event. There will be no seating plan and it is our intention to sit at round tables of ten. I would be most grateful if you could complete the attached form and return with payment by no later than Friday 16th November 2018. I wish to attend the Cruickshank Dinner on Friday 23rd November 2018 and enclose a cheque for £…………… made payable to “KOSB Association” and forwarded to The Secretary, KOSB Association, The Barracks, Berwick upon Tweed TD15 1DG. *Please list names of guests attending when replying.